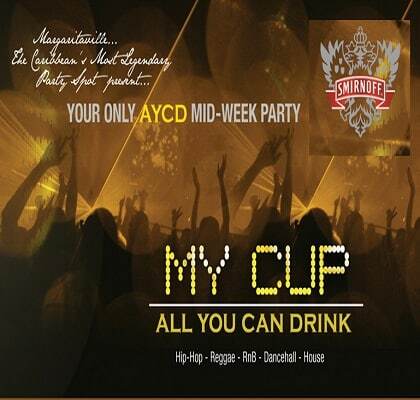 Enjoy as much as you can consume of Smirnoff Vodka, Trelawny Rum and Red Stripe draught. The party takes place each Wednesday. 18 and up only.